Q1. How do I know it’s authentic? Green Palm guarantees the authenticity of all the arts that we sell. We also issue a written Certificate of authenticity so that you have evidence of our guarantee. Q2. Do you have an actual physical gallery? Yes. We opened our first gallery in 1996. Now we’re located at 15 Trang Tien street – Ha Noi – Viet Nam and 39 Hang Gai street – Ha Noi – Viet Nam. Q3. Is art a good financial investment? There are works of art that prices never go down such as works by the masters or very well-established artists. Besides, we do present paintings by up-coming artists whose works we think will rise substantially in prices in the future. Surely we have a certain track record to suggest that. With our diverse collection, art is always a good investment. Q4. Do you ship internationally? Yes, we ship via Fedex, DHL or UPS, door to door service, by air. Please note that you will be responsible for any import duties and taxes. These vary country by country. Q5. How do I pay the import taxes? Our courier will collect the taxes and support you to hand it over to customs officer. Q6. What types of shipment do you offer? Q7. How much does the shipping cost? Shipping rates are dependent upon the dimension of the paintings, with or without frames, roll or keep stretch along with shipping locations, etc. Being the VIP agency of almost expresses with the number of discount up to 60%, we commit to using that price to serve customers with non-profit for the shipping cost. Q8. How long does it take for the shipment? Approximate 5 business days for Asia areas and 7 business days for other regions. Q9. What should I do if the artwork has been damaged during shipment? We always want you to receive the artwork in perfect condition. Moreover, our couriers are extremely prestigious and experienced, we’re confident that our packing and shipping are excellent. However, in case the artwork is damaged, please contact local courier as soon as possible since claim is only accepted within 30 days of the date the artwork was collected by the courier. At the same time, please inform us via email or phone. We’re willing to fix your painting with no cost even it is not our fault. Q10. Is your shipping insured? In our point of view, it’s no need to buy insurance as with nearly 20 year experiencing in shipping artworks oversea, along with our well-known couriers, we’ve rarely received complaint from clients about our shipping services. However, if you still want to use this service currently DHL and UPS are providing this service, extra cost is 2% value of the artwork. Q11. What kind of payment do you accept? We offer diverse payment options: we accept cash, wire transfer or MOTO (Visa or Master card). Q12. Will I be charged tax? 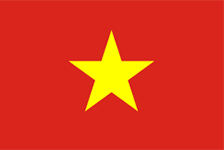 There is no tax for artworks in Viet Nam but you will be responsible for any import duties and taxes in your country. Q13. Who will pay for the shipment? The person paying for the artwork is responsible for payment of shipping. Q14: How do I maintain my artwork? It should be kept out of direct sunlight or places with high humidity. Air – conditional environment is ideal. Q15: How do I clean my artwork? • With oil painting: Use a delicate brush to gently remove surface dirt from your painting. Be careful not to bump or scratch the painting.